Insects are everywhere! Even in the most urban environment, insects are easy to find. You just have to keep your eyes open and you will see them. Entomologists are always on the lookout for insects. First, because we admire them, second, because we study them and want to know more about the way they live. Sometimes we bring the insects with us to the lab, sometimes we take photos of them in the wild and leave them be. Because of that interest, we keep finding cool insects, or insect-related structures. 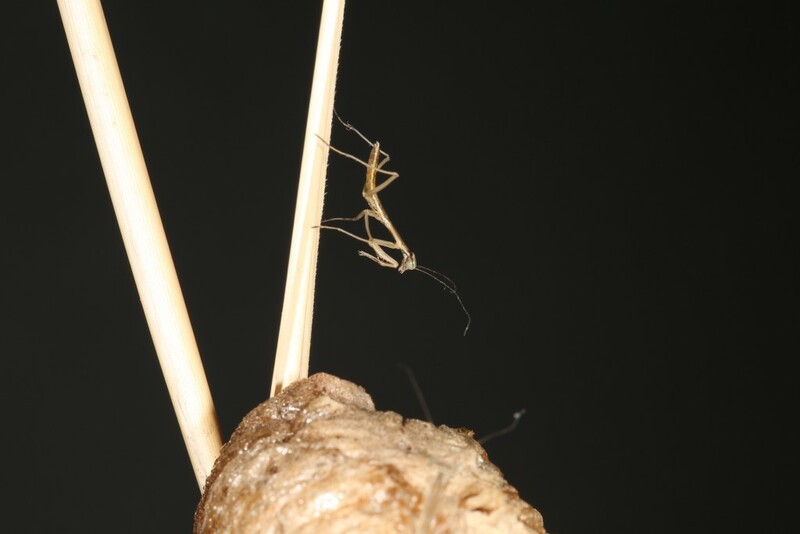 Huayan Chen, an Entomology graduate student in Norman Johnson‘s lab, found this beautiful Chinese praying mantid (Order Mantodea: Family Mantidae: Tenodera sinensis) egg case on the stem of a tall grass on his way home on a cold January day. He brought the egg case back to the lab hoping to find egg parasitoids. However, instead of parasitoids, he was surprised one day by dozens of mantid nymphs. Here are some of the photos he took of the babies as they explored their new world. All photos courtesy of Huayan Chen. He also wrote most of this blog post. 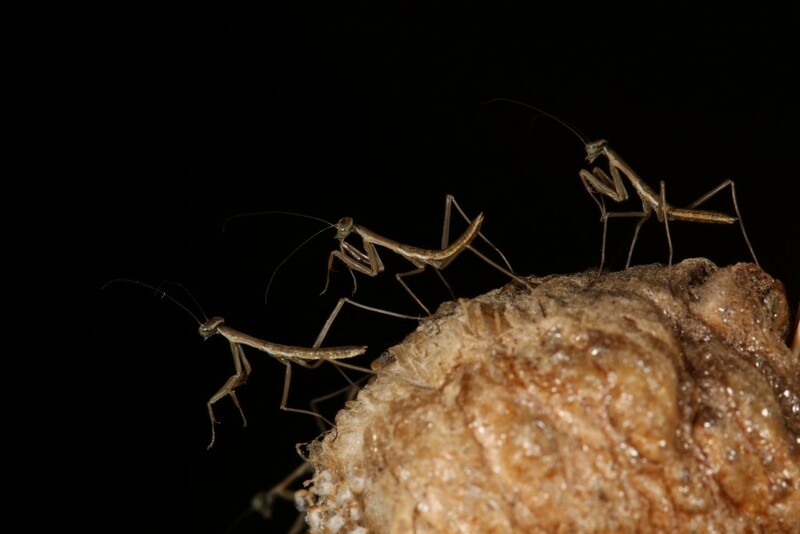 Newly hatched Chinese praying mantid individuals stay on the egg case. Chinese praying mantid nymph starting to explore the world. 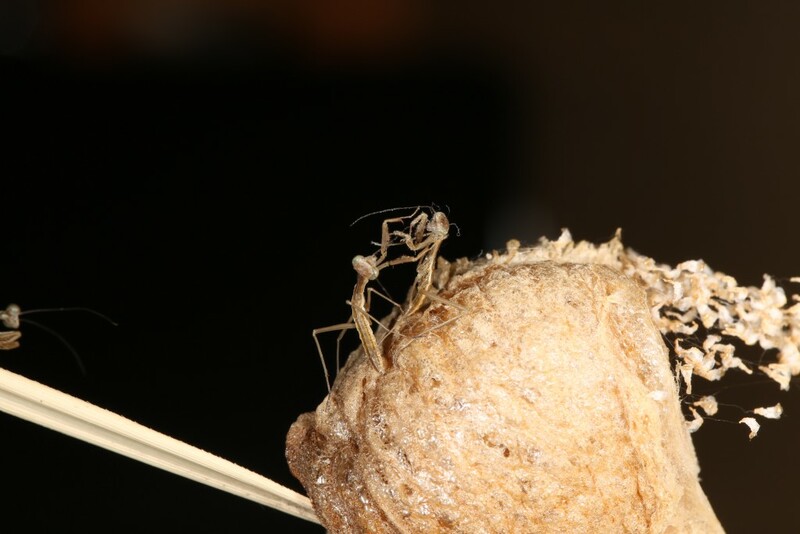 Two Chinese praying mantid nymphs displaying aggressive behavior towards each other. 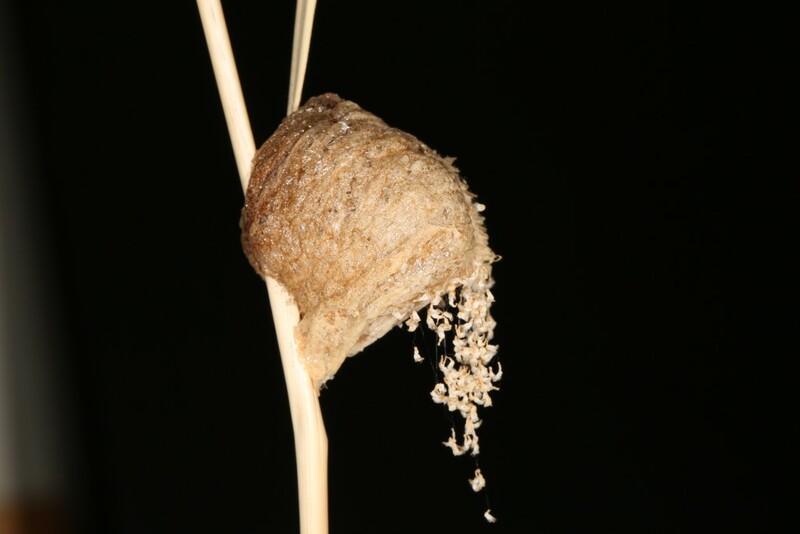 Chinese praying mantid egg case after the nymphs have hatched. Posted by OSUC Curator at 6:08pm Posted in Insect Diversity, Urban Entomofauna and tagged biodiversity, Columbus, egg case, entomofauna, hatching, lab, mantid, nymph, Ohio, photography, praying mantis, urban. Bookmark the permalink.